Buy online our clothing and fashion fabric 'Bandiera' Green Silk Chiffon, Made in Italy. Our silk chiffon fabric is transparent, slightly undulating, matte. The fineness of the yarns with which it is made is unique. It is said that in ancient times an emperor would verify the preciousness of chiffon by passing it through a ring. Silk chiffon fabric can be used across the board for shirts, multi-layered dresses, creating different effects by using different colors. Perfect for bridal gowns with fluid lines like those of the imperial style. 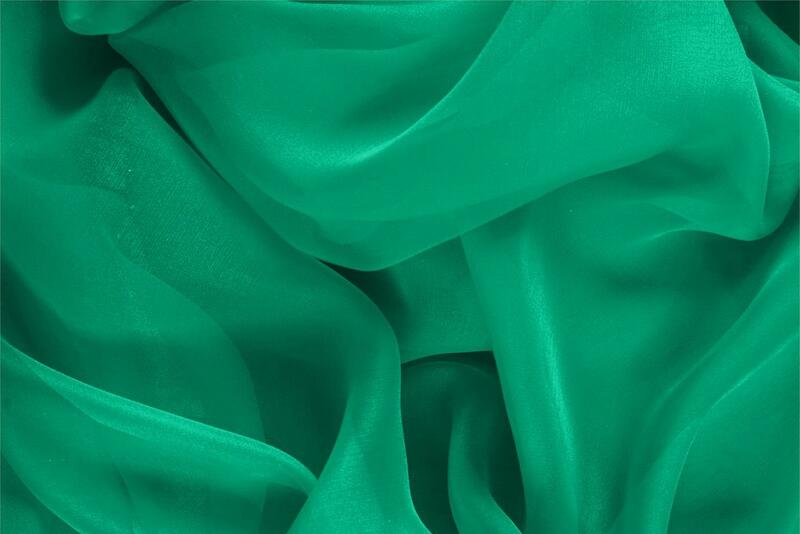 Bandiera Green Silk Chiffon Plain fabric for Ceremony dress, Dress, Party dress, Shirt, Wedding dress.